Welcome to the first article in our Reading the Hugos series, 2018 Edition! Hugo Awards season is one of my favorite times of the literary year, though it does ultimately run almost as long as the major league baseball season - neither of which is a complaint. Today we are going to take a look at the six finalists for Best Novel. Only one of the novels, The Stone Sky, was on my nominating ballot. If you've at all followed the Hugo Awards over the last two years, you'll know the first two novels of N.K. Jemisin's Broken Earth trilogy won the award for Best Novel (The Fifth Season and The Obelisk Gate). Both books were spectacular and the awards were well earned. Two in a row put Jemisin in rarified company, but a third Hugo in a row for Jemisin would cement her legacy as the most important fantasist working today. I may be spoiling this article, but she is. The Broken Earth as a whole is that good and The Stone Sky as an individual novel is that good. Let's take a look at the finalists, shall we? 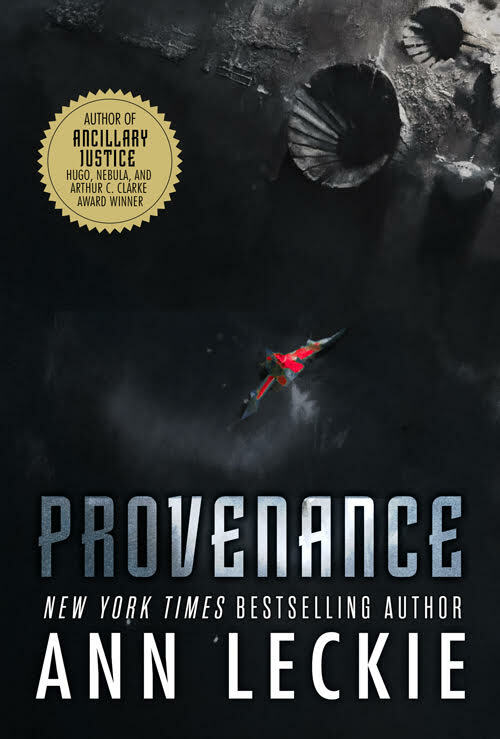 Provenance: This is a novel which took a while to settle out from under the weight of unfair expectations that I placed on it. Once it did, I was able to engage more fully with Leckie's story of truth, lies, and cultural identity. 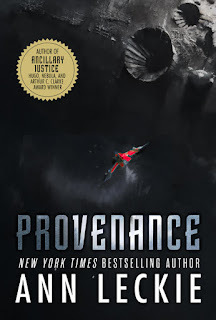 Provenance is a strong novel in its own right, and in the end, I appreciated Leckie's light touch in how she connected it to the larger Ancillary universe. The Collapsing Empire: From my nanoreview: "As often happens when reading a new John Scalzi novel, I didn't want to put this down. 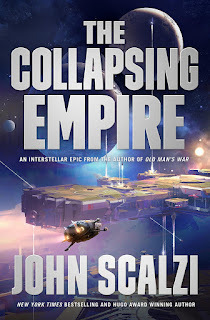 Filled with wit, warmth, humor, fantastic characters, and Scalzi's trademark snappy dialogue, The Collapsing Empire is a treat and a delight to read." I read The Collapsing Empire just before flying out for a week's vacation that I didn't want to take a hardcover book on. I only had a couple of chapters remaining, so I asked my wife to drive to the airport so I could finish the book before we left. I didn't want to miss a thing and I absolutely didn't want to wait a week to see how Scalzi wrapped it up. Unsurprisingly for the first book in a series, The Collapsing Empire ended in a bit of a cliff hanger. It felt a touch more incomplete than the average series opener, but Scalzi's fiction is just a pure delight to read and The Collapsing Empire is no different. 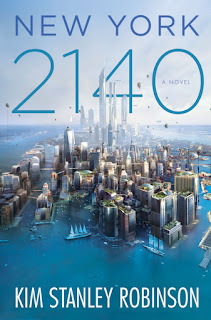 Where Robinson also differs from other climate disaster novels (see Stephen Baxter's excellent 2008 novel, Flood, for another point of contrast) is that he is less interested in the big flashy response and solution and dials in on how people would survive and thrive in such an environment. We may often picture cities abandoned, but more than likely Robinson's vision how the new intertidal zones of a city may be reclaimed and resettled is how things would actually play out. There is perhaps half of a plot in New York 2140. The novel is more of a slice of life, writ large and spread across a handful of disparate viewpoint characters. It's effective, but takes more of a commitment and patience to wait for Robinson to begin to pull them together. When those threads do come together, they do coalesce into something bigger and more impressive than the first chapters might have suggested. Not having read most of his work, I can't say if New York 2140 is Major KSR or Minor KSR, but it is ultimately a novel with heft and importance. 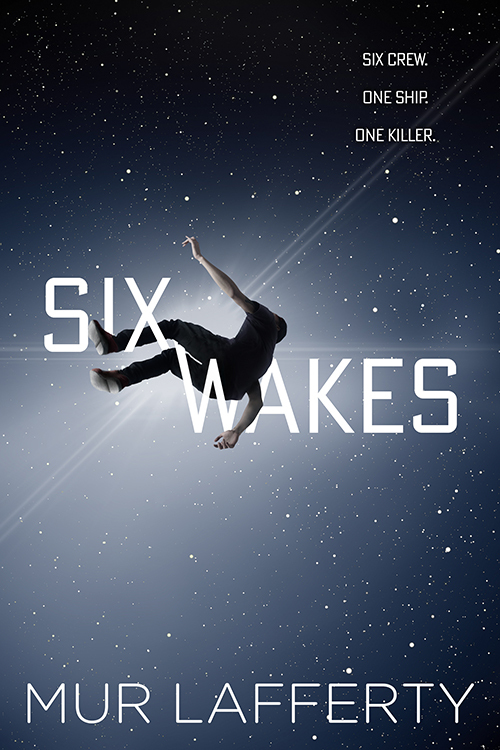 Six Wakes: A locked room murder mystery featuring clones, in space. Six Wakes offers a fresh take on all of that. The crew of a ship is murdered, all six of their clones wake up missing memories. One of them is the murderer. It's one hell of a concept for a novel and Lafferty absolutely crushes it. 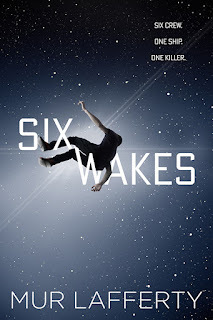 Shana loved Six Wakes and I share her admiration for the novel. Raven Strategem: I've read that Raven Strategem is more accessible to readers than Ninefox Gambit and that Yoon Ha Lee doesn't engage in the same sort of info dumping that he engaged in with the his first novel. I'm not so sure, though I don't have a passage to quote to elaborate. I think that it is more that we, the readers, are more fully accustomed to the work that Yoon is doing here. 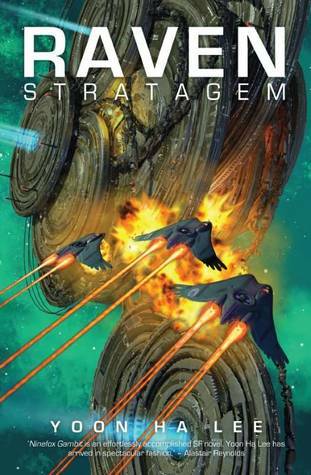 Raven Strategem is as straight up of an interstellar war novel as we are likely to get from Yoon Ha Lee, which is to say that there are plots within plots and mathematical digression and a tightly constructed narrative that thrills at all moments. Raven Strategem is smart science fiction, examining warfare itself and questioning the assumptions behind systems of government. It's damn good, people. The Stone Sky:The Stone Sky is the culmination of the best and the greatest fantasy trilogy written today and I still think I might have been understating the case when I reviewed the novel last year. Forget, if you can, the two previous Hugo Award wins for The Fifth Season and The Obelisk Gate. If you can do that, you still have to deal with the weight of the raw excellence of those two novels. 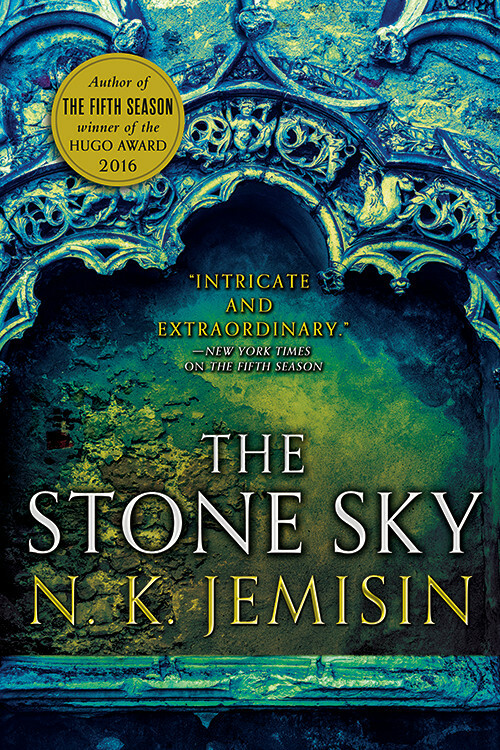 Jemisin has set a standard and a level of expectation that is nearly impossible to meet, let alone surpass.